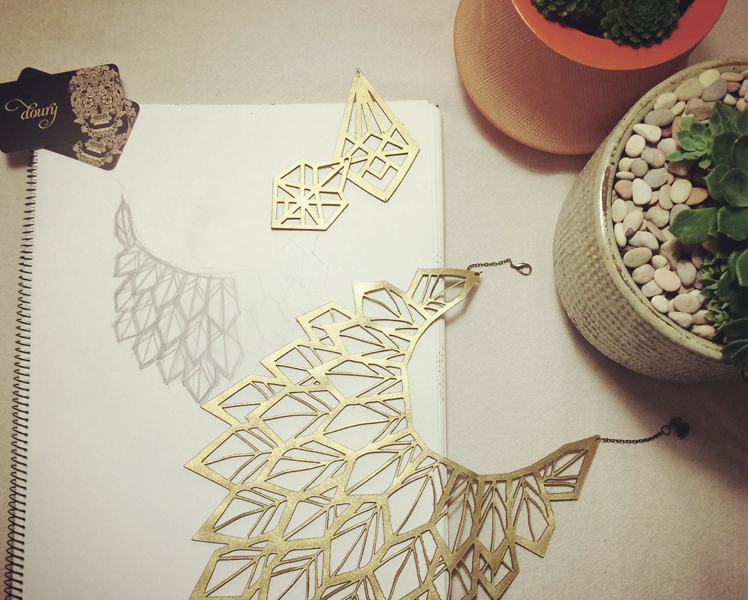 FK chats to Amy, of beautiful mother and daughter jewellery label, Doury. Tell us a bit about Doury and what we can expect to discover? We are a small mother/daughter run business that has decided to use an unconventional material to create unique and glamorous jewellery. We never wanted to compromise on the design of an extravagant necklace because of the shape or weight. Using leather allowed us to be unrestricted with our imagination. You will discover beautiful pieces, where each item is a miniature piece of wearable artwork. The soft feeling of our jewellery when worn is completely different to what most people would have experienced in the past. Hopefully it will be new and entirely refreshing for jewellery lovers! I have a background in Visual Communications at UTS and my mum has always been involved in Graphic Design back in Shanghai. It was a very natural process when we started the business. It started with nothing except some sketches on the kitchen table and us throwing ideas back and forth. Working together was bound to happen. You can’t escape your mum…! Usually working with your mum can be challenging but we complement each other through our different styles and visions for the brand. Since we are of Chinese background, all our designs have a hint of Oriental aesthetic. 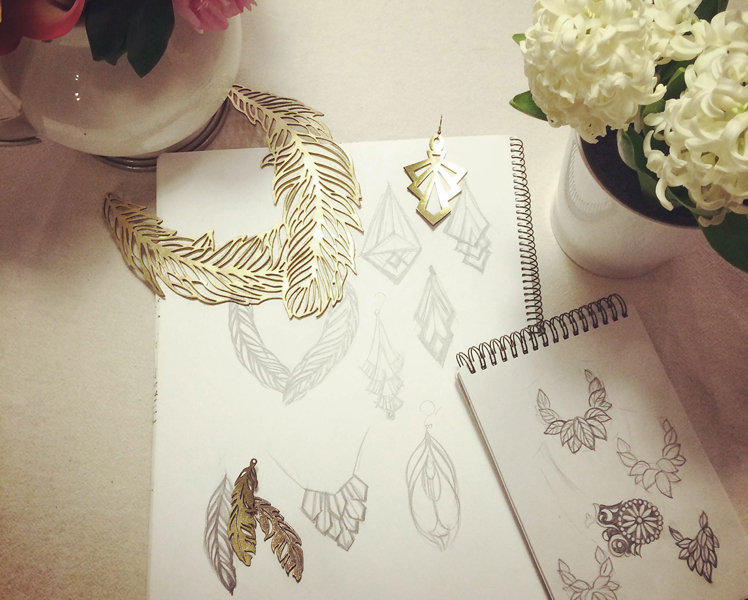 Natural elements such as leaves, flowers, feathers and organic shapes inspire our designs. We love couture as well! We’ve always admired the big names in high fashion and their ability to blur the lines between art and fashion. Drawing the line between ready-to-wear and costume inspires us to create extravagant yet easily wearable pieces. Funnily enough, we don’t have a set workspace. We find that if we sit in front of a computer, it hampers our process. We always start with drawing, as this helps to make our designs more fluid. We can draw anywhere with a sketchbook – while working at the markets or seeing beautiful shapes while out and about. Afterwards, we render everything with a tablet in front of a computer! The major challenges have mainly been production related. Our pieces aren’t made from your standard hard metals – we have spent significant amounts of time finessing the production process to give our leather jewellery a distinct metallic finish and look. We have tried different leathers, different finishes and a million different methods to get everything looking perfect. We are starting to head down a different path with our collection and are looking to expand into pieces for home decoration. Our designs are versatile enough to be worn on the body or framed and hung on a wall as art. I think it will be a fun opportunity to explore, not limiting ourselves to women’s jewellery.